Dhaulagiri Base Camp Trekking is a long and difficult trek to the base camp of Mt. Dhaulagiri (8167m). the world's seventh highest mountain. 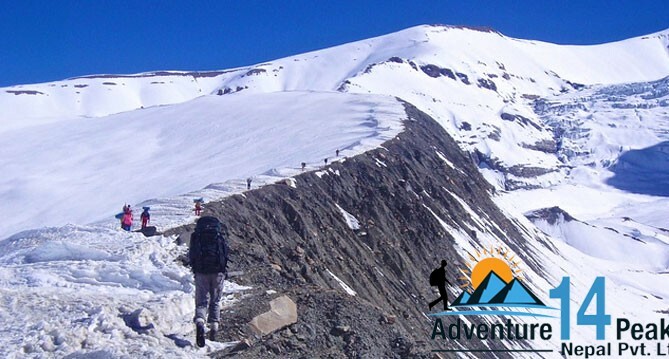 This is the best high altitude adventure trekking endowed with high alpine pastures, dense forest, high passes and mesmerizing vista of Annapurna and Dhaulagiri mountain ranges. Dhaulagiri trekking starts at Beni where we can reach easily by bus OR jeep from Kathmandu or Pokhara. From Beni we keep continue our drive up to tatopani along the edge of Kali Gandaki River and gradually climb through the lovely and unspoiled valley of the Myagdi Khola. From tatopani almost a week long trek to Dhaulagiri Base Camp goes through numerous picturesque landscapes and villages. After a week of trekking we reach Dhaulagiri Base Camp. On the way we come across snow and glaciers before crossing‘French Pass' (17,580 feet) one of the important passes in the Dhaulagiri region. You will enjoy with the view of the Dhaulagiri Mountain after crossing the ‘French Pass at 5240m,’ and it is truly breathtaking. The more you climb higher elevation, the landscape becomes far more rugged and sparsely inhabited. Italian base camp is a perfect place to explore the hills around. From Italian Base camp the trail goes to alternative facet through the ice mass with terribly tiny path to the French Base camp that is placed simply before the Waterfalls. Between French Base camp and Japanese Base camp generally there is an opportunity of falling rock from left facet and generally avalanche. Along the Dhaulagiri Base Camp trekking trail we come across another pass called ' Dhampus Pass' which is also as beautiful and adventurous as French Pass. From Dhampus Pass we make a long descent to Jomsom from where we either take a flight to Pokhara or 4-wheel drive. 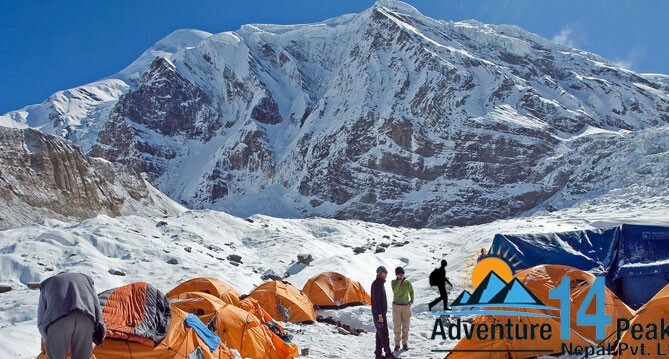 Annapurna Dhaulagiri Base Camp trekking is one of the best camping trekking in Nepal for the exhilarating trekking experience. DO YOU WANT TO CUSTOMIZE ITTINERARY ? This morning we will drive to Pokhara from Kathmandu (200km). You will be arriving late afternoon in Pokhara. From the Pokhara valley you can see one of the most beautiful Himalayan panoramas including famous "Fishtail" mountain peak of Machhapuchhare tower over the tropical setting of Pokhara. You will be free in Pokhara valley to explore the various interesting place at your own like boating in Phewa Lake, visiting popular sites around. 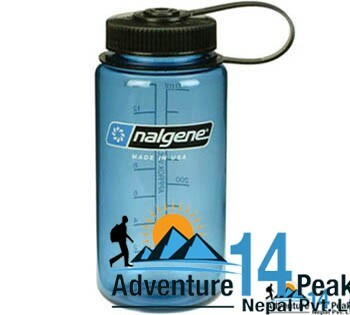 In the evening you will prepare yourself for your trek to Dhaulagiri trek next day morning. The trail to Doban follows the west bank of Myagdi Khola through an undulating trail in the forest. There are a couple of clearings where we find a number of stone-built shepherds huts, and one of these is Doban where we camp for the night. Today we can either explore around Italian base camp on a day walk or relax in camp. This day is essential for acclimatization. Today is a short walk although essential for acclimatization process, unlike most other itineraries we believe in having two extra nights between Italian base camp and main Dhaulagiri base camp (otherwise going from 3,660m to 4,740m will result in AMS and possibly worse). From Italian base camp the trail descends steeply through the lateral moraine to gain the glacier, it is likely that we will fix a rope here mainly to help the porters. One crosses the glacier and comes off the moraine on the left side to enter the Chonbarden gorge. Walk along talus in the Chonbarden gorge to the snout of the Chonbarden glacier. The glacier is covered in moraine at this point and the trail follows a pressure ridge to Glacier camp. Today you will have a scenic flight to Pokhara observing the spectacular mountain views as well as striking natural beauty of Nepal. Upon arrival in Pokhara you will be transferred to the hotel and then go sightseeing. Pokhara is an ideal lake city for holiday makers. Pokhara is situated in the mid western Nepal. It is linked by the main highway of 200 km driving distance from Kathmandu, and by air approximately 20 to 30 minutes flight with a sweeping panoramic view of the mid western Himalaya. Mother Nature has certainly blessed this fertile valley with outs tanding scenery of the landscapes, snow capped mountains, moderate tropical climate, and beautiful pristine lakes of Begnas, Rupa and Phewa. The most stunning of Pokhara's sights is the magnificent panorama of the Annapurna range which forms its backdrop. Annapurna massif includes Annapurna I to IV and Annapurna South. Among these high peaks it is the towering majestic Mt. Machhapuchare (Fish Tail) which dominates all others in this range Pokhara with its natural beauty is also a starting point of trekking, mountaineering expeditions and it's an ideal spot for all types of holiday makers. On this pleasant day you may have a full day at leisure either relax at hotel or explore the around Thamel. Or, you may do your last minute shopping for souvenirs or gift to your family, friends or relatives.